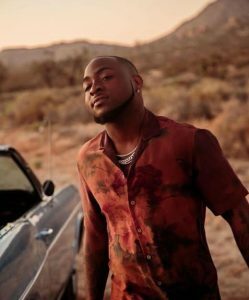 Famous singer Davido shares cute photo of Chioma his lover rocking this beautiful native dress as she flaunts her cleaavage. Davido tagged the picture “My Oga” which means “My Boss”. For her to win Davido’s heart to this extend, she’s truly the boss. By the way, her chest is the topic for another day! VIDEO: Davido Almost Showed Chioma’s BIG BOOOBS To The World! See Why Davido might be in trouble if he leaves Chioma!